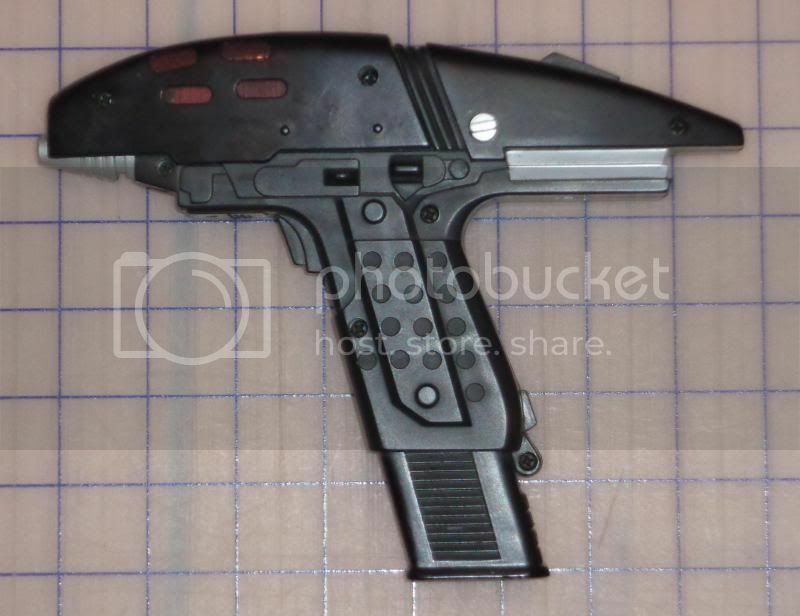 This is the Playmates phaser from Star Trek VI: The Undiscovered Country. I bought it from a seller on eBay a few years ago, and while it wasn't bad, I would have rather gotten one new in the package. But, at the time, it was the only one I could find that didn't have an insanely high price. 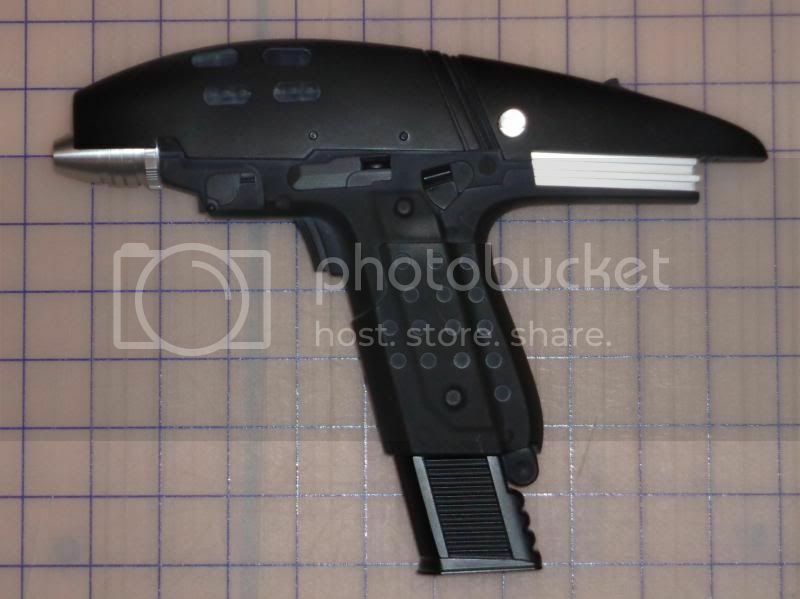 The third photo above shows the phaser with the energy clip removed. I had to add some styrene shims to hold the clip in tightly. When I received it, the clip was so loose that it didn't maintain contact with the batteries. A short bit of work with some styrene and all was well. As you can see, the shims don't show when the clip is inserted. I dropped out of collecting for about 15 years. I think I missed some of the coolest stuff to be released. Have seen these on ebay... as you said, usually at insane prices. Was wondering, are these really 1:1 scale? Playmates has not always been concientious with that. Have also noticed the one from Master Replicas. Amazing! Does anyone know if Diamond Select/Art Asylum has any plans to release versions of this or the ST:III phasers? This PM phaser is not 1/1 scale, it is smaller than the real prop. DST has the Trek III phaser on their 'to do' list; I can imagine the 'Assault' phaser would come sometime after that. MR really knocked it out of the park with that replica. Here's a nice, in-depth review. They're out there, if pricey, but I deem that price to be well worth it. To quote Ferris Bueller: "It is choice. If you have the means, I highly recommend picking one up."